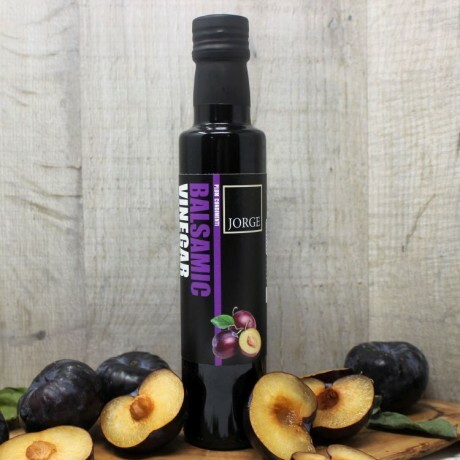 A medium sweet/sharp condiment made from the finest balsamic vinegar of Modena, infused with natural Plum flavour. The result is a deeply enriching balsamic, capable of enhancing a wide range of dishes. Can be used straight from the bottle as a dressing or as an ingredient in cooking. 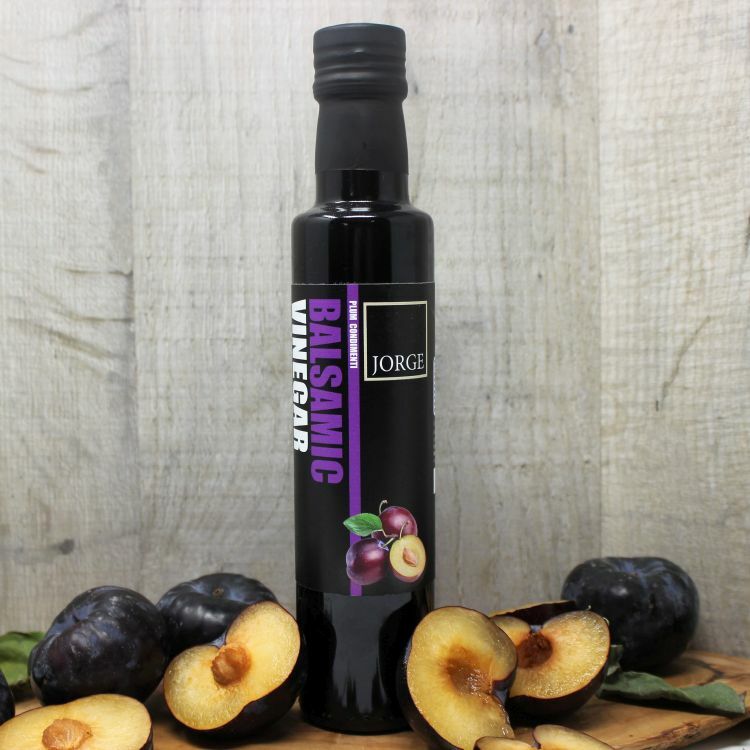 This beautiful Plum balsamic makes the perfect gift for aspiring cooks and is ideal for summer BBQs, mezze/tapas style dining or entertaining to impress. Fantastic straight over a salad, as part of a dressing, or for use in sauces, marinades or desserts. Goes perfectly with duck, roast Plums.